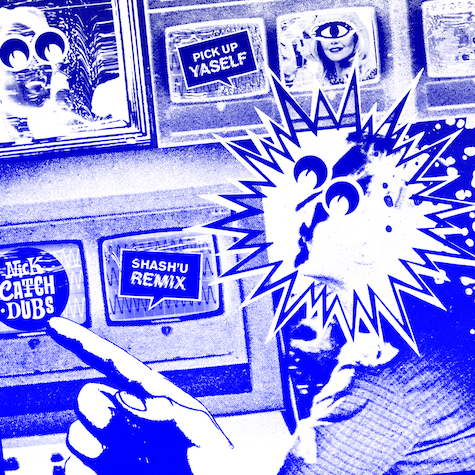 Champion MTL body mover Shash’U lends his breakdance ready bass to Nick Catchdubs “Pick Up Yaself” featuring Fire Alarm, taking the vintage-house flavored original into a futuristic and funky new dimension. Turn it up! Even in a city where so many young producers are reinventing beats, Shash’U is Montreal’s funkiest resident, standing out with a diverse approach (he’s as adept with trap bass as he is ‘80s boogie synths) and an unparalleled energy – appropriate for someone who’s a competitive dancer himself! 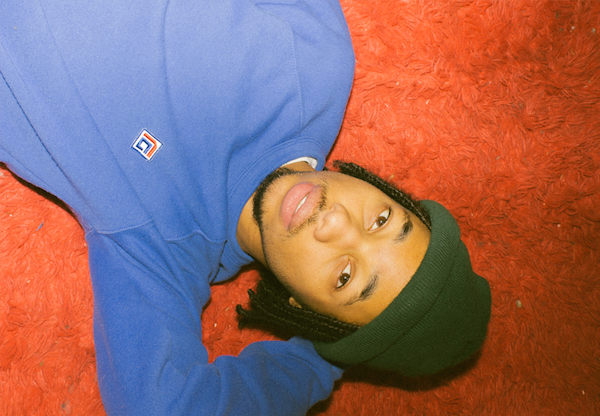 Street X showcases a dark, digital spin on Shash’U’s signature sound, building on his Thru Da Night and PWRFNK EPs with an exciting, electrifying new power. Listen now! 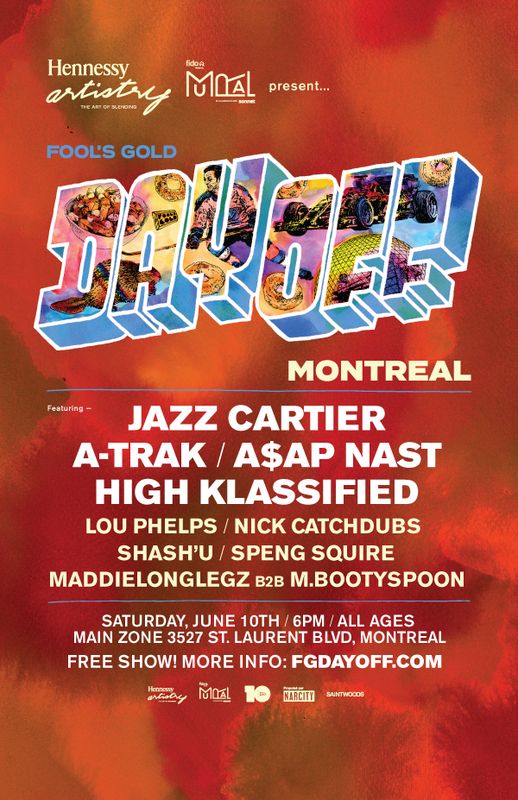 We’re starting the DAY OFF celebrations early with a free, all-ages show in Montreal on 6/10 feat Jazz Cartier, A-Trak, A$AP Nast, High Klassified and more fam! See you there… more FGDO 2017 dates up soon at fgdayoff.com! 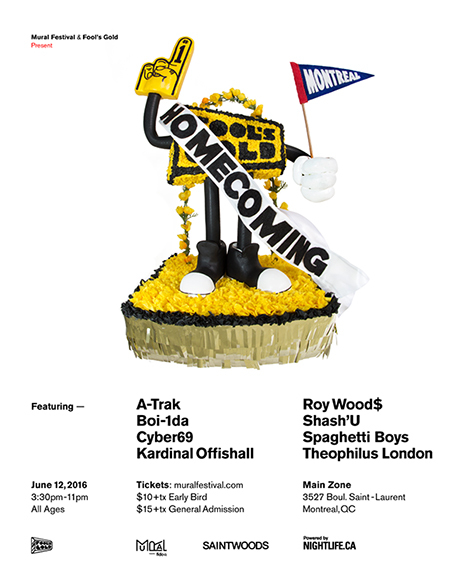 Canadian FG crew members and friends are coming home to perform an epic show at MURAL Festival in Montreal on 6/12. With a bomb lineup featuring A-Trak, Shash’U, Roy Wood$, Kardinal Offishall & so many more, you definitely won’t be standing around the punch bowl for this one. Grab your tix here and peep the recap from last year! Fool’s Gold is an army! The beloved Brooklyn imprint is more than just a record label, but a coalition of guerrilla DJs and like-minded party people. With FG’s new Night Shift compilation serving as their explosive mission statement, these midnight marauders will take their sound on the road for the annual “Gold Gone Wild” North American club tour, kicking off 5/5 in Denver, CO. 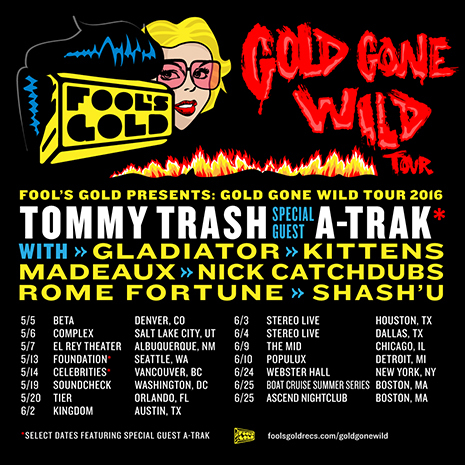 Headlined by Australian wildman Tommy Trash (whose own Luv U Giv Remixes EP drops this Friday, 4/8 on FG), “Gold Gone Wild” features a rotating cast of Fool’s Gold all-stars including Gladiator, Rome Fortune, Madeaux, Nick Catchdubs, Kittens and Shash’U. With FG captain A-Trak joining the fun on select dates, “Gold Gone Wild” is a can’t miss DJ trek like none other. Check full lineups and ticket info at foolsgoldrecs.com/goldgonewild. Tickets go on sale this Friday at 1pm EST. 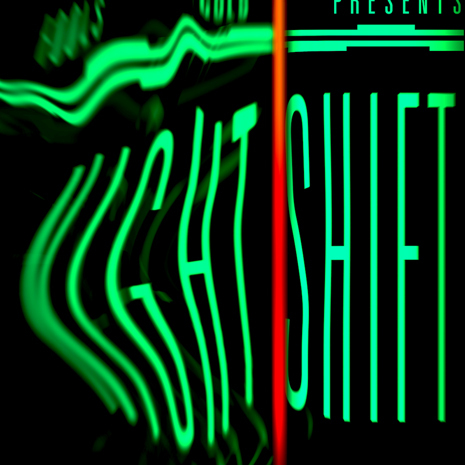 Fool’s Gold redlines into spring with Night Shift, a 17 track compilation, of new dance music from the label’s latest signings and loudest family members. Since launching in 2007, the beloved Brooklyn indie founded by DJs A-Trak and Nick Catchdubs has pushed hybrid sounds to the forefront of the electronic scene. But Night Shift is the sound of a brand-new model year racing off the FG lot, shinier and heavier than ever. Listen to Night Shift now! Montreal beat king Shash’U is back with a new video from his ultra-funky, ‘80s-inspired PWRFNK EP. Putting a playfully creepy spin on his roots in the professional street dance world, this body part-swapping clip takes viewers to “the lab” for real. Listen to PWRFNK now on all digital services, and get the limited-edition double vinyl (paired with Shash’U’s Thru Da Night EP) from the Fool’s Gold store. Five cities, thousands of fans, a whole damn supergroup of artists and DJs… DAY OFF 2015 was the biggest Fool’s Gold festival trek yet! From Travi$ Scott lighting LA on fire to Skepta shutting down NYC, from 2 Chainz and Flosstradamus turning up in MIA to A-Trak scratching everywhere, the fam went in for real! Watch the full recap video above, hit fgdayoff.com for more, and stay tuned for next year’s edition (which is sure to be even crazier). Big thanks to our friends at Grand Marnier for helping make it all possible.